Online trading at ETX Capital is temporarily unavailable on our site. However, we do recommend to look further on our site for other great brokers such as Plus500. ETX Capital is a well established online trading brokerage based out of London. The firm has been around since 1965 and is an FCA Authorized & Regulated Forex broker and are a member firm of the London Stock Exchange. The ETX company is owned and operated by Monecor (London) Limited, with their financial services registered number 124721. The company’s headquarters are located at: One Broadgate, EC2M 2QS, London, United Kingdom. ETX Capital believes in providing their traders with an exceptional trading experience that exceeds their competitors. The brokerage and their services are designed and built to accommodate the needs of both experienced and beginner traders by offering a wealth of educational material, sophisticated trading platforms, and an extensive list of tradeable assets across global markets including; forex, indices, commodities, and equities. ETX Capital is an internationally recognized trading brokerage who competently serves traders from around the world and offers their services in 9 languages. The brokerage has won numerous awards throughout their lifespan and continue to innovate their services and excel in customer satisfaction. ETX Capital is clearly a reputable online trading brokerage as they have been offering reliable trading services for over 50 years and are licensed and regulated by one of the most prominent regulatory authorities. However, how do the services ETX Capital provides compare with other prominent online trading brokerages? To find this out we have analyzed all aspects of ETX Capital and laid everything out for your viewing in our in depth review below. ETX Capital keeps things very simple by offering traders only one type of standard trading account. The account can be opened with a minimum deposit of only $100 and the necessary documents for verifying your identity and residence. For instance, traders must submit a photo of government issued ID and a recent utility bill or bank statement. This is required due to FCA regulation. As there is only one standard trading account, every trader has access to the same tradable instruments, platforms, leverage, and so on. With this trading account, ETX traders are blessed with a wide array of financial instruments in a variety of markets including Forex, Commodities, CFDs, Indices, ETFs, and Stocks. With over 6000 different types of financial assets, even professional traders should be impressed. For the trading of forex, leverage is as high as 1:200. Leverage for Commodities is at 1:100. As for equities and indices, leverages can range from 1:20 to 1:100. In addition to the standard trading account, ETX Capital does offer a live demo account in which traders can use virtual money to get a feel for the platform and its software. 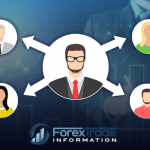 This trial or demo account is a great way for traders to get acquainted with the trading platform, product offering, and trading strategies before trading with real money. The demo account is free to open and can be used for as long as the trader wants. ETX Capital features 2 types of sophisticated trading platforms available to their clients, including ETX Trader Pro and ETX Meta Trader 4 (MT4). See below, an overview of these platforms and what they have to offer. The ETX Trader Pro platform is a proprietary web-based trading platform that’s accessible across all operating systems including Windows, Mac and Linux desktop computers as well as iOS and Android mobile devices. This trading platform was designed with experienced traders in mind as it comes with a wide array of advanced features and unparalleled access to the financial markets. One of the most impressive features of this platform are the advanced charting tools, which enable traders to choose from a selection of charts and view them simultaneously in different time frames. Traders also have access to numerous technical indicators and a wide variety of drawing and analysis tools. Traders can also participate in one click trading directly form the charts. 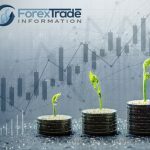 The MT4 trading platform is the most popular trading platform out there and it’s offered by ETX Capital for traders who have become familiar with it and prefer not to learn a new one. This platform comes with a variety of impressive trading features, as well as educational material and impressive security. As well, the MT4 trading platform supports automated trading with its unique MLQ4 programming language that supports what’s called “Expert Advisors” (EAs). All in all, the MT4 trading platform is an excellent trading solution for both beginner and experienced traders. ETX Capital welcomes new traders with enticing depositing bonuses that matches up to 20% of the initial deposit with a maximum bonus of up to $3,750. As well, all new traders receive a minimum bonus of $20 just for signing up. These bonus amounts may vary depending on what promotions they have at the time, but at the time of this writing, these are the current welcome offers. ETX Capital is a zero commission trading brokerage which means they incorporates their trading fees into the spread rather than charging a commission for each trade. This is the same across all asset classes, but the spreads vary between each asset and asset class. Overall, the spreads are very tight compared with the industry standards. 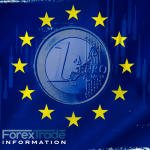 For instance, forex spreads start at just 0.7 pips for the EUR/USD currency pair. Equities have a spread of 0.08 for some stocks, commodities have spreads starting from 3 pips, and indices have spreads starting from 1 pip for major indices. ETX Capital provides their traders with a wide array of deposit and withdrawal methods. Before a client can make their first deposit or withdrawal, they must submit all of the necessary verification documents. There are no fees for deposits or withdrawals. See the available deposit and withdrawal methods overviewed below. Traders are only required to deposit a minimum amount of $100 to open an account with ETX Capital. This can be done a number of ways including through China UnionPay, Credit/Debit Cards, Giropay, Neteller, Skrill, Sofort, and Wire Transfer. The whole process to do this is made quite simple through ETX’s intuitive platform. As for withdrawals, ETX Capital will use the same methods as used for depositing funds into a trading account. There are no fees imposed on traders for making a withdrawal, and withdrawals are processed within 1 working day. 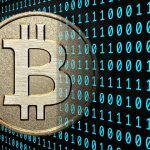 The fastest methods available for withdrawals are wire transfers and bank wire transfers, with withdrawal times being 2-3 business days. All other methods of withdrawal take between 3-5 working days. Another area of excellence for ETX Capital is their high level of customer support. Even though customer support is not available 24/7 but rather 7:30 am – 9:00 pm from Monday to Friday, the service is phenomenal. Their support is offered in several major languages such as Arabic, Chinese, Czech, Dutch, French, German, Hungarian, Italian, Polish, Portuguese, Romanian, Russian, Spanish and Turkish. All the support options are available through these languages, however, the support options available are limited to email and toll-free universal phone, there is no live chat option. Additional methods of support include an extensive support and FAQ page and a resourceful education center complete with webinars, tutorials, guides, courses, and more. What we think of trading at ETX Capital? 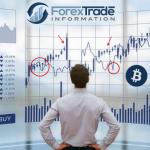 Here at Forextradeinformation.com, we think that ETX Capital is an outstanding online trading brokerage due to their strong reputation in the industry, their wide tradeable products offering, exceptional trading platforms, low trading fees, and so on and so forth. Upon reviewing ETX Capital, it’s clear that the brokerage is competent and truly cares about the success of their clients. ETX Capital will do everything they can to help their clients succeed and provide all the tools, resources and support necessary to provide an exceptional trading experience. All in all, we would highly recommend any trader to ETX Capital.